Columbus, OH based Rock Band BLACK COFFEE has released the official music video for their single, "I Barely Know Her", off of their debut album, Take One. Filmed at the Johnstown Opera House in Johnstown, OH, "I Barely Know Her" was shot, directed and produced by John Payne of Payne Productions. 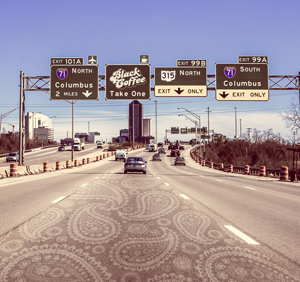 With the release of BLACK COFFEE’s debut album, Take One, on April 21st, the Columbus, Ohio rockers definitely possess the sound, style, confidence and work ethic to drive this album’s success. The original single, “I Barely Know Her”, is already available on all streaming services, and its accompanying video debuted today. Fans can expect a diverse selection of original music. From the raw and dominant 1st single to the blistering, “Hurricane”, and funky, “Monica”, . . . along with otherworldly, “The Traveler”, and drive-with-the-top-down classic, “Born To Lie”, Take One proves to be one of the most exciting musical debut’s in modern history. BLACK COFFEE combines superb musicianship with a high-energy performance that is refreshingly both vintage and ground-breaking. This three-piece collaboration takes inspiration from classic rock bands of the 60's, 70's, and 80's, and fuses it with the root music of blues and rock n' roll from the 40's and 50's. Dedicated to re-inventing modern rock music, BLACK COFFEE parts the proverbial sea for the next generation of artists.